A group of islands lying in the Bay of Bengal, between Myanmar on the east and India on the west, the Andamans are home to some of India's best beaches. While you're here, let clear blue waters, rich marine diversity, and long stretches of sand take your breath away. Whether you want to make a trip to the famous Cellular Jail and learn more about the history of some of our freedom fighters or enjoy one of the best scuba diving experiences in India, this is where you should be! Visit islands like Havelock, Neil, and Ross, for an experience that will leave you mesmerized. Meditate to the sound of waves as they crash against the shore. Savour some delicious, fresh seafood while you sit back with a drink and enjoy the coastal vibe. All in all, this adventure and water sports hub will never let you down. So, book your flight to the lovely Andamans and be prepared to have your mind blown away! Spend some time away from the routine of the city-life and escape to the pristine islands on the far east. Kick back on the beach with a book or some music, splash around in the waves or partake in the water sports at Havelock. Explore the history and culture at Port Blair, immerse yourself in the days gone by in the ruins at Ross Island. With equal parts of activities and opportunities to just wind down, this will be the perfect getaway for a long weekend. 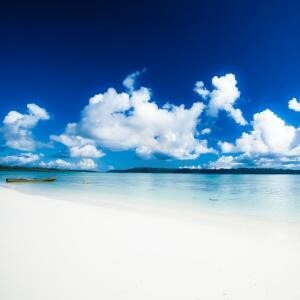 Get away from the city to explore some of the most pristine and beautiful beaches around the Islands of Andaman. If you would like a break from the concrete jungle to spend some sun-sand-sea-time under the open skies, this is an ideal package. With a couple of days to explore the rich culture and history the Islands have experienced, you will have enough time to unwind or participate in the plethora of water sports and activities the Islands have to offer. Located in one of the most ideal locations on an island surrounded by tropical gardens, the Wild Orchid Resort provides an exotic island getaway. The rooms are well maintained and comfortable, they feature a patio with a garden view and some also come with bright decor and mini fridges. For extra convenience, the resort has a ferry shuttle to and from the island. The resort also offers an international restaurant, cafe, bar, beach dining and a spa. The staff can also arrange activities like scuba diving, fishing, snorkeling and local travels. 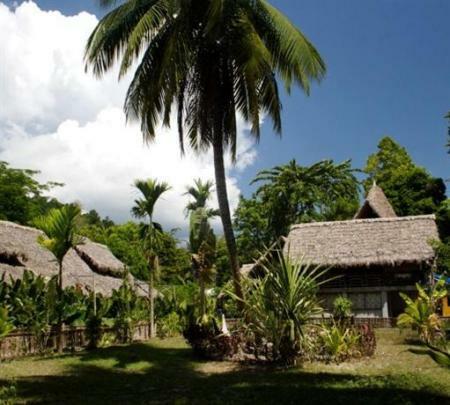 The resort consists of wooden cottages set among tropical gardens, the entire resort is very relaxed and promotes peace and serenity. it is located close to Elephant beach where one can experience snorkeling. The rooms are warm and very comfortable with all the luxuries needed to make your stay enjoyable. The resort also has a restaurant and a casual eatery. Comprised of cottages that have thatched roofs and rustic design, Blue Bird resort inspires you to lay back and enjoy your vacation. While the rooms may look like actual huts, on the inside they contain all the modern luxuries to make you feel at home. They even have terraces with hammocks for your complete relaxation. The resort has a tropical outdoor restaurant that serves delicious international food. Activities such as scuba diving, snorkeling and island tours can be arranged by the resort. 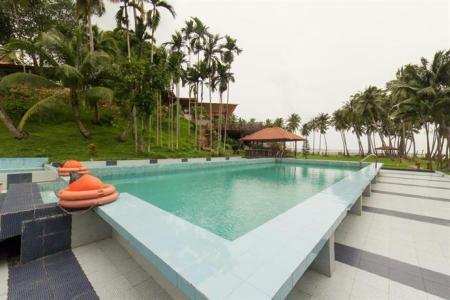 Given much praise for its location, guests are extremely happy with the resorts easy access to the beach along with the other features and services of the resort. The staff is friendly and help with all your problems to the best of their abilities. The resort is truly in touch with nature and inspires you to do the same. The restaurant serves delicious home made food which is much to the delight of guests. A beachfront resort surrounded by the tall trees of the forest to provide shade. The perfect tropical getaway. 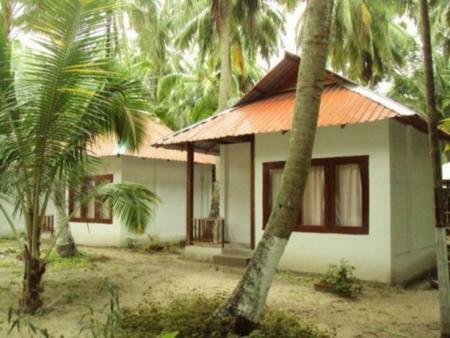 The resort has a variety of rooms, each provide a comfortable accommodation and some provide easy access to the beach. 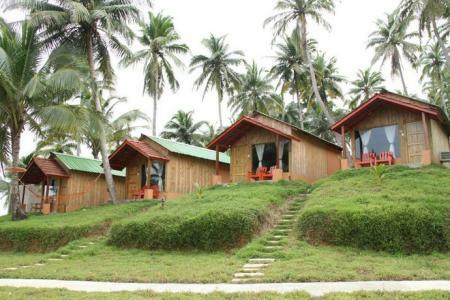 All provide scenic views of the beach or the forest. There is an international restaurant that serves all kinds off delicious food to end your cravings along with other amenities like a coffee shop and an outdoor pool. Located close to the Govind Nagar Beach, amidst beautiful surroundings, Symphony Palms Beach Resort is a perfect abode for honeymooners. 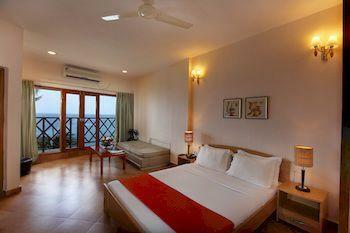 A lavish refuge in the lap of nature, this 4 star beach resort offers best in class facilities. The ferry ghat is located quite close to the resort, making it easily accessible for travellers. 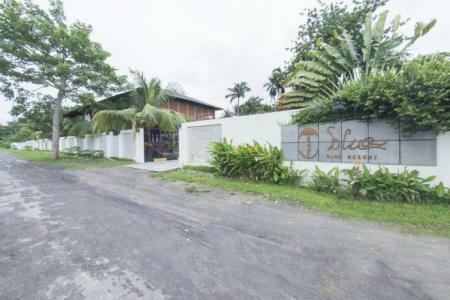 Set amidst serene and picturesque surroundings overlooking the Bay of Bengal, Hotel Sinclairs Bayview offers a perfect retreat to spend a relaxing and rejuvenating holiday in Port Blair. The hotel is minutes away from the famous Cellular Jail, Rajiv Gandhi Water Sports Complex, Corbyns Cove and Anthropological Museum. Located amidst swaying coconut palm trees in Wandoor Village, Sea Princess Beach Resort promises to offer a great stay amidst sun and sand at the Andamans. Do not miss to pay a visit to the nearby Mahatma Gandhi Marine National Park, which is also one of the best scuba diving spots. 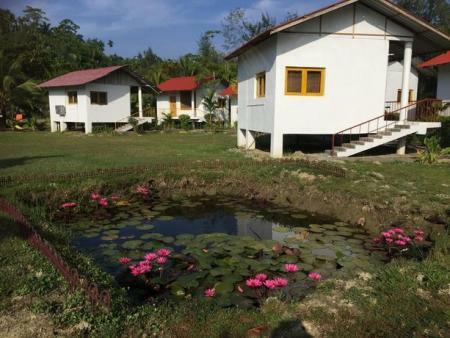 Located 20 kilometers from Port Blair Airport, Anugama Resort is a beautiful resort in the of nature, very close to the beach for a very relaxing holiday. 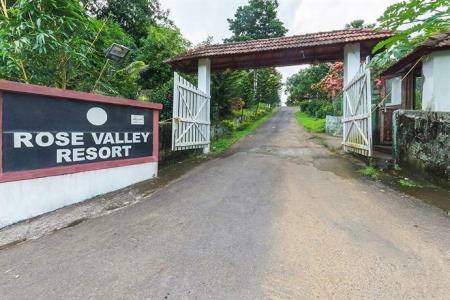 Situated in the heart of the Andaman and Nicobar Islands, Rose Valley retreat is far from the hectic city life. The largest fresh water pools on the island take you over completely as they offer a natural experience that is impossible to replicate. The multi cuisine restaurant provides foods that erase any craving you might've had. Facilities include conference hall, banquet hall, gym, pool, sun bed, health club, indoor and outdoor activities and a spa keep you busy during the day while a bon-fire keeps you mesmerized at night to provide the ultimate tropical treatment. Completely Eco-friendly, everything from the construction to the bar maintenance was done to be as Eco friendly as possible. Situated alongside the beach, Palm Grave resort provides a truly tropical experience. Additional facilities like boating, fishing and open air theater are also offered to the guests. Located on a part of the Island tat faces the ocean, The Oceanus Resort has views of the sunrise and sunset on the ocean horizon. Travel the lands as all sorts of birds are situated on the Island. The resort has several lounge areas where you can relax and enjoy your Island getaway. The rooms are quaint and comfortable. All in all the resort is surely going to give you an unforgettable experience. 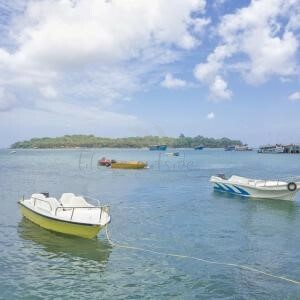 The islands of Port Blair, Havelock, and Neil offer a host of luxurious and charming places to stay. Port Blair: Most resorts in Port Blair are located in comfortable distances from beaches, the jetty, and some of the tourist spots. Sinclair's Bay View, Fortune Resort Bay Island, Sea Princess Beach Resort are some of the best luxurious resorts on the island. Like their names suggest, they are bayfront resorts, so you are assured spectacular views from your room! 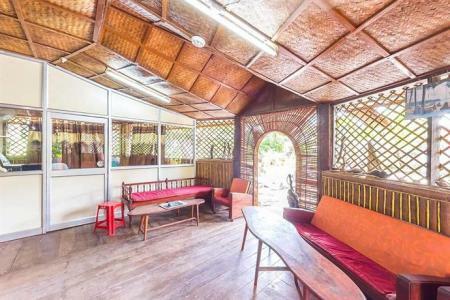 If you're looking for something relatively cheaper, Anugama Resort, Wild Grass Resort, and Megapode Resort are delightful places to stay with a laid back atmosphere. Havelock Island: With resorts in close proximity to watersports centers, Havelock is the place to be if you're into adventure. Thatched-roof villas surrounded by coconut trees give you unmatchable holiday-vibes! Barefoot Resort and Seashells Resort offer scuba diving facilities, and luxury stay close to the beach. If you're only here to relax, Silver Sand Beach Resort, and Munjoh Ocean Resort make great choices! Island Vinnies Tropical Cabana, and Cross Bill Beach Resort allow you to laze in the shade of coconut trees, without burning a hole in your pocket. Neil Island: A trip to Neil Island is a must to see the bluest of blue waters. Sea Shell Hotel and Resort, and Silver Sand Neil are good resorts for luxury stay. 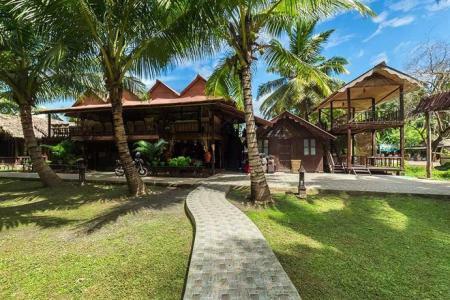 Slightly on the cheaper end are Pearl Park Beach Resort, and Tango Beach Resort, that offer a comfortable and relaxed stay. Ross Island, Jolly Buoy and Red Skin Island are day-trips; these islands do not offer accommodation. By air: The Veer Savarkar International Airport in Port Blair is well connected to Kolkata, Chennai, Mumbai, Bangalore, Hyderabad, and Visakhapatnam. The connectivity depends on which airline you choose. There are also connecting flights from Delhi and other cities. By ship: Cruise ships take passengers from Chennai to Port Blair. It's a 2 and a half day journey, but will be worth the experience. The islands of Port Blair, Havelock, and Neil all have autorickshaw facilities. You can exchange phone numbers with the driver, who will pick you up from one site and drop you to the next. Most resorts on these islands offer private cars for transportation. Port Blair also has public buses for transportation. They might be a little inconvenient for tourists since they are not very frequent. In Havelock, you can also choose to get around by a 2-wheeler or by cycle. It's the most preferred choice among tourists as the island's beauty is best experienced this way. Some resorts may offer 2-wheelers and bicycles, and there are several rental shops on the islands that you can contact. Transportation between islands is via government or private ferries and cruises. The islands are blessed with a pleasant climate all year round, but the best time to visit is November to May. It's best to avoid planning a trip to the islands during the monsoon as it gets windy, the sea gets choppy and waves get higher. Watersports might get suspended during this time. The capital of the union territory, Port Blair is the most populated island of the magnificent archipelago. Because this is where the airport is, most tourists start their holiday here. Cellular Jail or Kaala Pani is one of the most popular places to visit in Port Blair. It stands testament for the cruelty Indian freedom fighters faced during the British reign. Walk along the long corridors of the uniquely constructed jail and take a peek into what the lives of those imprisoned here must have looked like. Another attraction here is the sound and light show that happens within the premises of the jail. Mount Harriet National Park is a bird-watcher's paradise. With lush foliage, marine turtles, elephants, unique species of moths and reptiles, and innumerable species of birds, this national park is a must-visit if you want to feel connected to nature. Chidiya Tapu is known for stunning sunsets and great bird watching opportunities. A number of species of birds from all over the world can be spotted here. It's best to come here in the morning when the birds are most active. From Chidiya Tapu, you can hike about 3 kms to Munda Pahar Beach where you can swim in the calm and clear water of the sea. You can also lay on the beach and take in the view of other wooded islands in the distance. 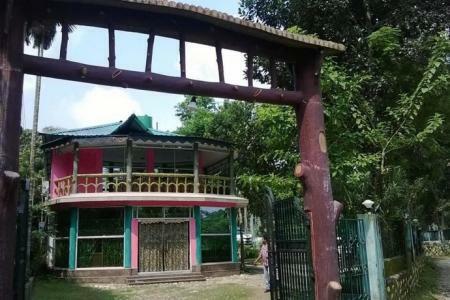 The Anthropological Museum is the place to visit if you want to learn more about Andaman and Nicobar Islands' tribal history and culture. From models of their different living spaces, to exhibits of weapons, utensils, and cloth made of wood, and a number of photographs - you'll find it all at this museum. The Samudrika Marine Museum is run by the Indian Navy. In this museum, you can see an interesting collection of species of fish, corals, shells, and more, up close, so you can really admire their beauty and uniqueness. Ross Island was the British headquarters in Andaman and Nicobar Islands. Remains of 18th century colonial architecture covered with roots of massive trees speak for the antiquity of this island. Controlled by the Indian Navy today, the only inhabitants here are birds, squirrels, and deer. A guided tour around the island will give you better insight into its history. After sunset, stay for the sound and light show. With the colonial bakery as the backdrop, you can watch the saga unfold before your eyes. Because of the clear waters, Neil Island is often mistaken to be named after the colour of the sea ("neel" means "blue" in Hindi). Neil Island is known for the shades of blue sea around the island. Bharatpur Beach, Laxmanpur Beach, Sitapur Beach, and Ramnagar Beach are the beaches here. Also visit the Howrah Bridge - a natural rock bridge. Behind this bridge, there is a smaller rock bridge, which you can reach after a hike on rocks and soft corals. 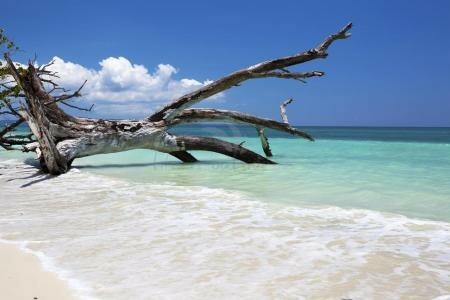 Havelock is where you can indulge in different watersports - scuba diving, sea-walk, snorkeling, jet-skiing, and more. Beaches like Elephant Beach and others allow you to have an underwater experience like no other! The sea around the island is rich with corals and fish, which make visiting these places a must! There are several dive centers and reliable adventure sports centers that you can go through. Radhanagar Beach, one of the best beaches in Asia, is a must visit at Havelock. These islands are part of the Mahatma Gandhi Marine National Park and are the only ones open for tourism. Many tourists visit these islands to experience snorkeling and take glass-bottom boat rides and learn more about the rich marine life of these islands. Plastic bottles are not allowed on these islands. Being a popular holiday destination by the sea, the cuisine in Andamans is mixed - Indian food - especially Bengali and south Indian cuisine, Chinese, and Continental. Most restaurants serve seafood like fish, lobster, prawn, crab, and squid. In Port Blair, Lighthouse Residency, Excel Restaurant, Bayview, SeaShell, and more, offer a wide variety of seafood, Indian and Continental meals. In Havelock, Full Moon Cafe, Anju-Coco Resto, Rony's, B3- Barefoot Bayside & Brasserie, Blackbeard's Bistro, are great places to dine. The food is multi-cuisine, and the ambience is informal and pretty. Golden Spoon is a small shack which doesn't have the fanciest set-up, but is known for the lip-smacking seafood served here. In Neil Island, Blue Sea, Sea-view Chand Restaurant, Moonshine, Garden View Restaurant serve multi-cuisine and seafood. There are several roadside shacks in and around beaches that sell coconut water, fresh cucumber, and fresh fruit juices - perfect for a day at the beach! The Aberdeen market, the museums and the Cellular Jail all have gift shops where you can buy items and accessories made of wood, shells, and corals. You can even but real pearls here. Havelock Island has several souvenir shops, too. Best service providers- BSNL, Airtel. No data connection. Wifi is available at most resorts, either complementary or at a minimal charge. Tourists are not allowed to carry shells, corals, etc. with them back to the mainland. All purchases on the islands should have a receipt as proof of ownership. The sound and light show has versions in English, Hindi, and Tamil. Make sure you make bookings accordingly. Foreigners and NRIs need to get a Protected Area Permit (PAP) on arrival which is valid for 30 days in Port Blair. Always keep hard cash with you. Not all places accept cards. Because of the popularity of watersports, always pre-book a slot if possible. Before planning your itinerary, make sure the weather conditions are favourable during your stay. Leave a 2 day gap between your scuba diving experience and the next flight. Check if the ferries between islands are commuting as per schedule. Always keep a buffer time before any journey by ferry or by plane.